It’s time for a Freebie Friday competition and what a prize we’ve got for you this week! This week we’ve teamed up with Your Home Magazine to give one lucky person the chance to win a Spectrum Waltz Rug worth £119.99, sized 160cm x 220cm! This fabulous prize is ideal for décor lovers. 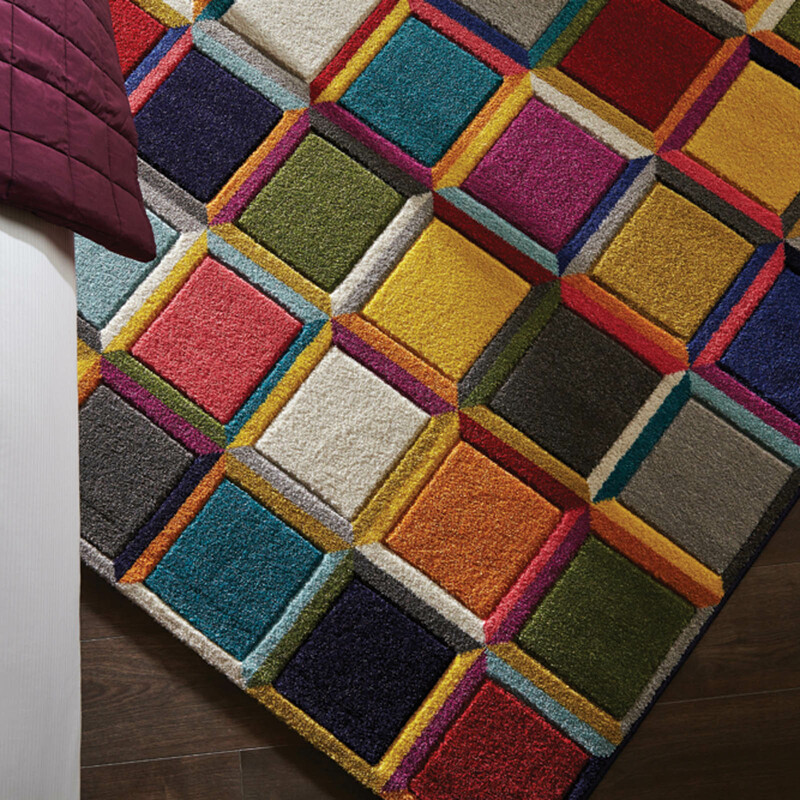 Cascades of vibrant colours leap across this vibrant multi-coloured block design. Hand carved to enhance the fabulous vivid colourful effect to ensure it creates a stunning focal point. Maintaining a super soft feel, this bright range is 100% polypropylene. It is hard wearing, stain resistant and easy to maintain. Simply head over to our Twitter page The Rug Seller, where we’ll be tweeting about the competition all week. You just need to retweet the message and follow both The Rug Seller (@therugseller) and Your Home (@your_home). Limited time offer only // The competition closes at 5pm on Friday 17th February 2017, the winner will be picked at random. Never miss another giveaway! Stay up to date on all the competitions, giveaways and more shared on The Rug Seller blog. That’s unfortunate! Hopefully, you will be able to take part in any future competitions that we hold on our social media platforms! In the centre of my living room so its a talking point when I have friends, family and visitors round. Pity I’m not on Twitter either or this could go in our living room to cover the stains our six month old Border Collie puppy made when she chewed up a pen and got ink all over the place yesterday! My living room! ♥ I hope US can enter too.